More uniform, stronger welds ... reduced welding fumes ... less filler wire used. Welding SCS steel offers these benefits. And more! Welding SCS saves time – no wiping off excess oil or grinding off rust or scale to prepare your steel, sheet or plate. SCS' ultra-clean surface means fewer contaminants to degrade weld integrity, so you get stronger welds and fewer rejects, including seam welded tubes made from SCS coil. Optimal SCS welds may use up to 30% less filler wire. "With the clean SCS surface, our weld beads are more uniform with less spatter . . . a good weld was tricky with HRPO – not with SCS"
A manufacturer of rail cars replaced hot rolled black with SCS. They report: (1) "undercut" weld defects eliminated, (2) 35-50% reduction in repairs of seam welds, (3) big reductions in weld porosity, (4) pre-weld edge wire brushing was nearly eliminated. A job shop making parts for ag-equipment OEMs replaced their 10 gauge P&O with SCS. The welders say SCS cleanliness prevents sheet slippage they get with P&O and greatly reduces weld fumes. 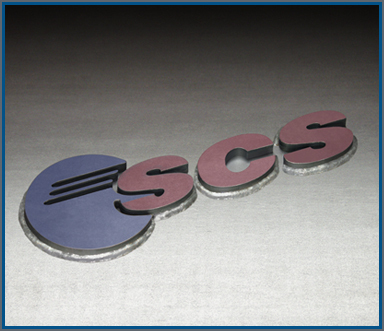 SCS also plasma cuts and punches better. A farm implement manufacturer had intended to install a ventilation system to exhaust the hazardous excess smoke that results from welding P&O material. SCS, with its absence of oil, has solved this problem.